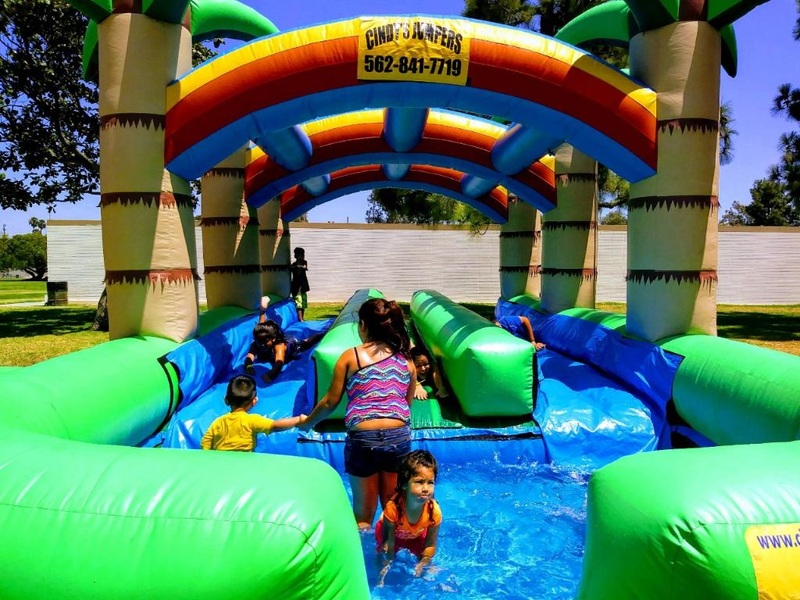 Our popular dueal lane slip and slide slide is great for all ages. 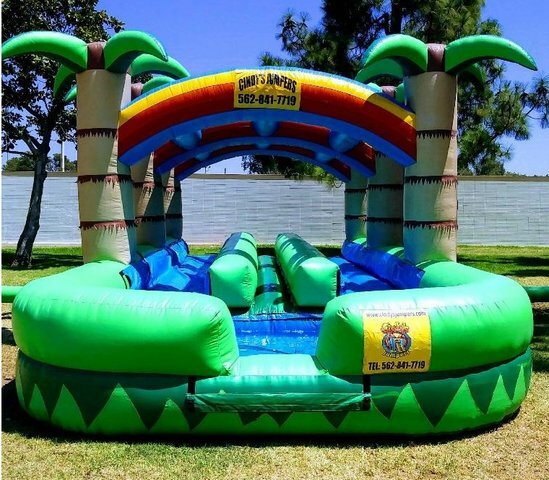 This slip and slide slide is recommened for kids 4 years old and older to adults. Requires a water source nearby to fill up the pool. 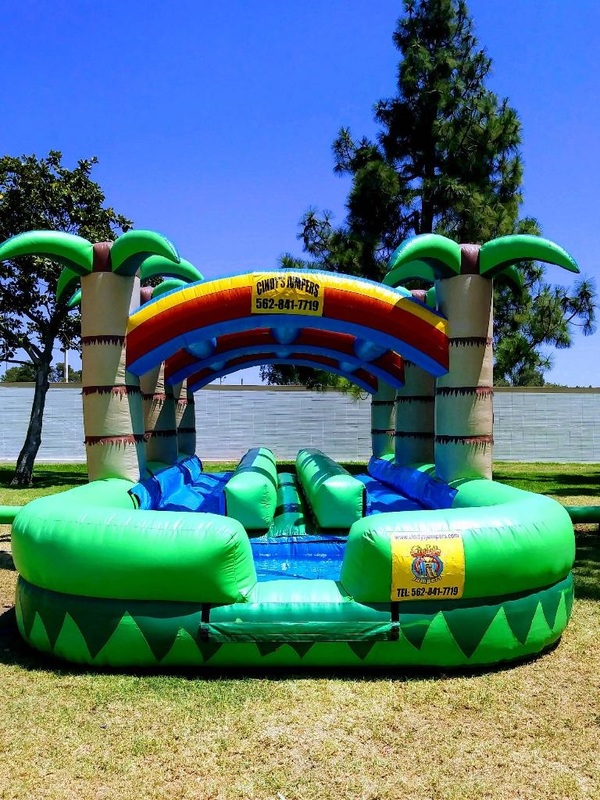 Water slide must be placed on grass, or if placing on cement a foam mat will be required to rent additionally to place under pool area for safety.